If you think that beekeeping is all about honey, then this post is for you. 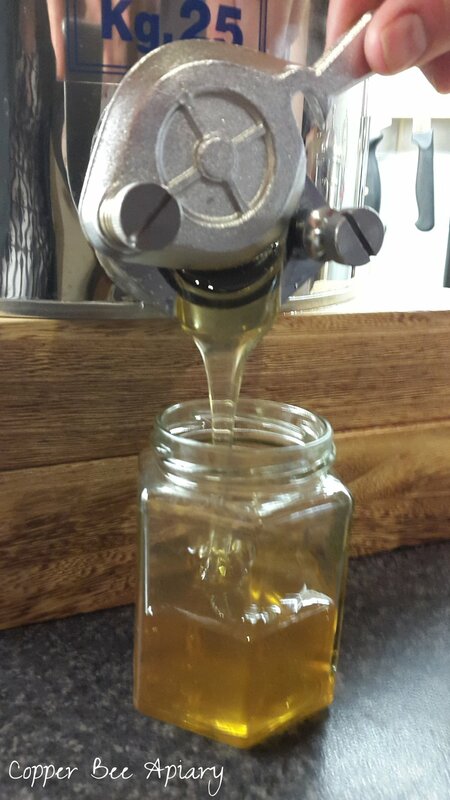 We have had two lots of spring honey this year, both harvested this month. Lot#140517 from the Copper Hive and lot#190517 from the Cedar Hive. These honeys were generated in parallel in the two hives, and are very similar in taste and colour. Both supers contained a lot of pollen, which lends a strong polleny taste to the honeys. 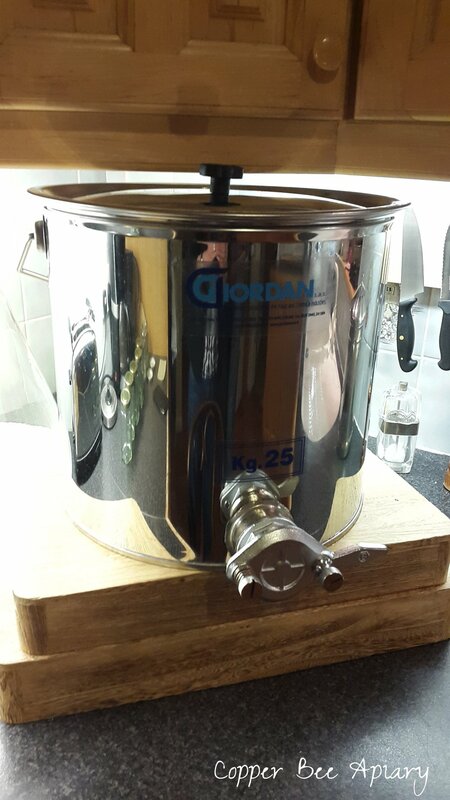 I used my new stainless steel settling tank, which I succumbed to buying at the BBKA Spring Convention. Doesn't it look grand? 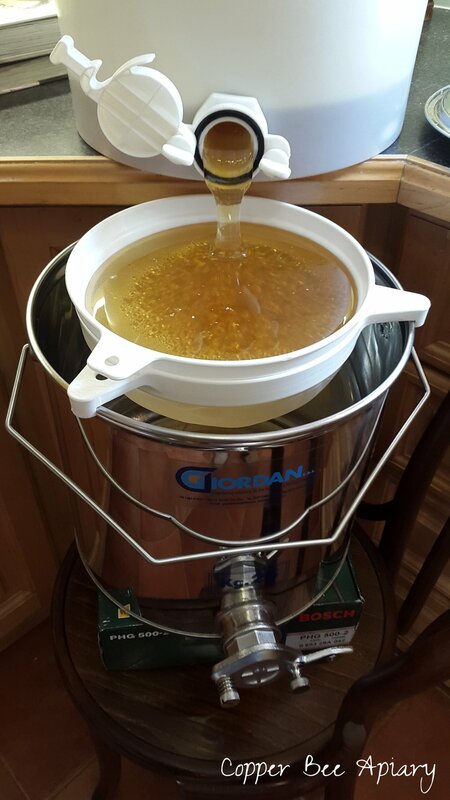 It is a rewarding sight to watch honey flow from filter to tank. Here you can watch lot#190517 steadily drizzling from the fine filter into the settling tank, where it will stand for a while to let the air bubbles rise out. For the accompanying fragrance you will need to ask for your own jar!